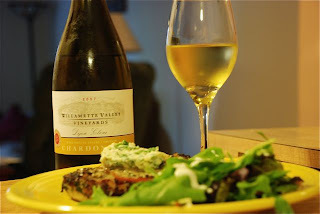 Well stated when you address this as a NW chardonnay and capturing the identity as such. We have always been impressed with the adventurous spirit of the WV chardonnay starting with their 1989 when they purchased their new on-site stainless. The oak has always been their Achilles heel. However, the recent chardonnay releases of 2005/6 have given me good reason to move away from the whites of California - for good. I will stay tuned to this site for more reviews - you're great!